One of the best things about Summer is being able to enjoy some al fresco dining (I mean, what's better than good conversation, warm weather and delicious food? 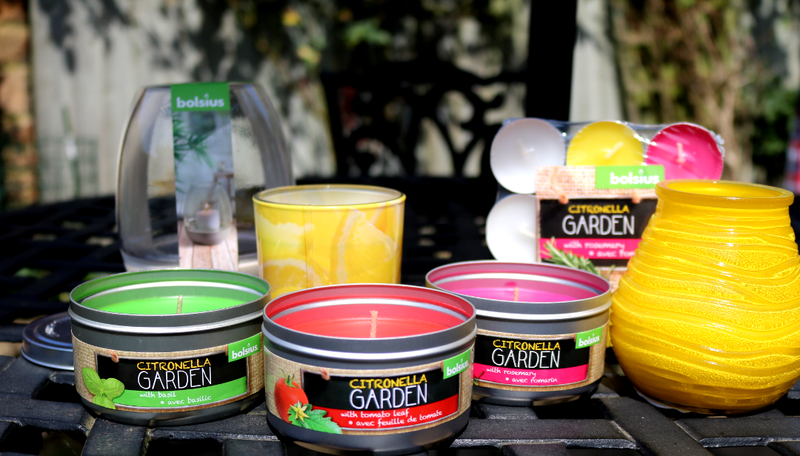 ), so make the most of those long nights by keeping pesky bugs at bay with Bolsius' new Citronella Garden candles. Citronella has long been used as a natural way to keep mosquitos and other insects away, and whilst they may hate the scent, most people love it! Bolsius has a whole range called Citronella Garden which combines classic Citronella fragrances with herbs for a spicy finish that pairs well with most homemade dishes and meals. These wonderful tin candles add a pop of colour to your table and each one has its one unique scent. As you may expect, the Basil candle has a subtle earthy and herby fragrance, whilst the Tomato Leaf is a little stronger with an underlying tangy fruitiness. My favourite is Rosemary Pink though because it has a gorgeous sweet floral aroma that's very warm and summery - this would be a great candle choice for an intimate evening dinner. All of these tin candles have an excellent scent throw but they're not overbearing or dominate which allows them to do their job subtly, without competing with the appetising scent of your meal. 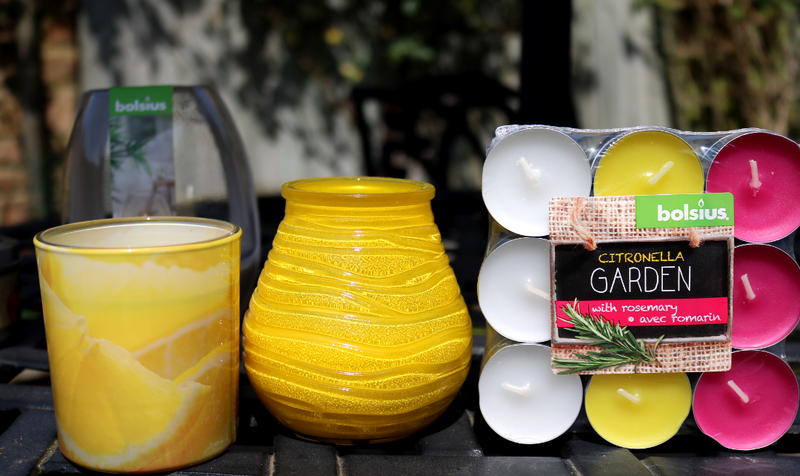 If you prefer the classic citrusy floral fragrance of Citronella, you can purchase the Citronella Glass and Patio Lights Candles, both of which come in a sunny bright yellow colour to liven up your garden. I particularly love the curved shape of the Patio Lights candle as it instantly adds a contemporary touch to any backdrop. Both of these smell amazing and yes, they really do keep the mozzies away! 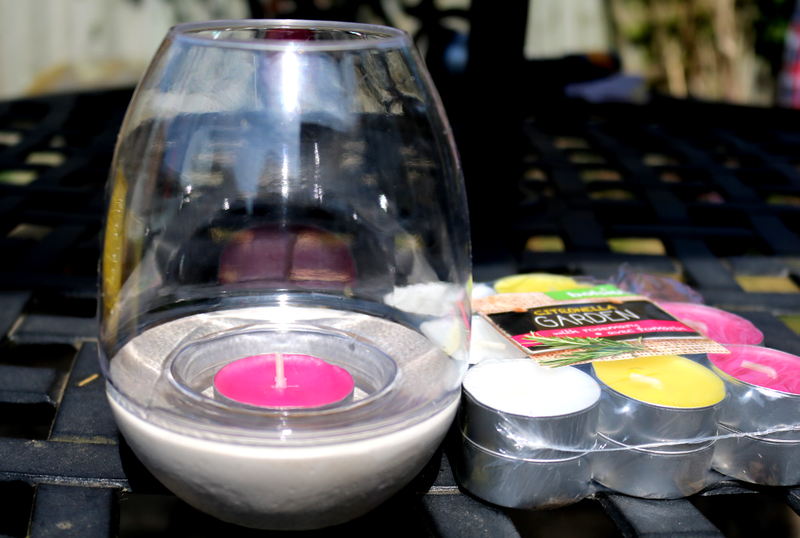 Going back to the original Citronella Garden range, if you're struggling to choose which scent you like from the tin candles above, why not try a pack of the tealights instead? Each pack contains 18 tealights and they come in a range of assorted scents and colours. I think they look lovely scattered around the centre of the table. For those who like to impress their guests, these large Outdoor Tealight Holders provide a visual way to display your favourite tealights and they really come into their own when the evening starts to darken as the whole glass illuminates beautifully. The base is made from a neutral grey stone/ceramic material and you can either host your tealight just in the base, or add the covering (with your tealight in a separate glass container of course for safety) to complete the look. 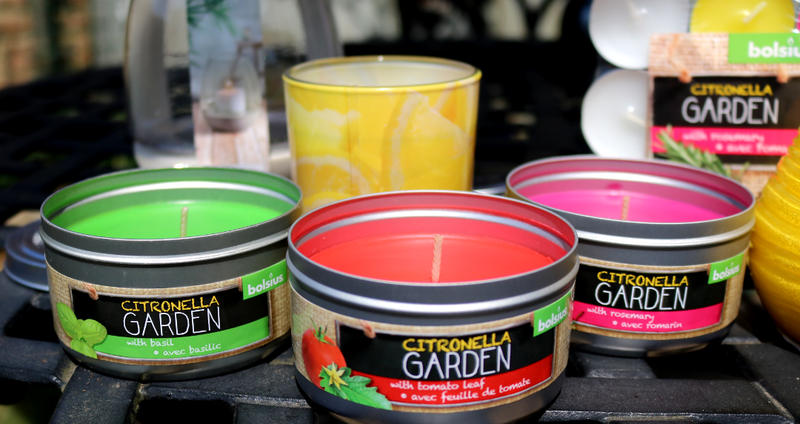 Do you use Citronella candles to keep bugs at bay?